The alien Naga have reached out to contact humanity and a response is required. 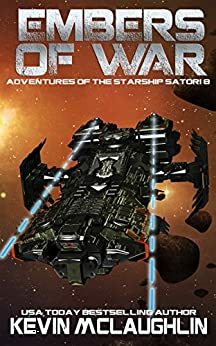 Rather than invite trouble by allowing the warrior race to send more ships to Earth, the decision is made to detach a delegation to the Naga homeworld. Dan Wynn will command the newly restored starship Independence on its maiden flight. Meanwhile, the Satori will carry a group of humans to the ruined world of Dust. The only remnants of the race which built the Satori still rest there, and Earth desperately needs any technological edge it can acquire. But an ancient force is moving between the stars again for the first time in a millennium. As this old enemy of both Naga and Human alike prepares to reveal itself, neither race will ever see the universe the same way again!